Our Private Property Signs are made with property management and long-time parking lot use in mind. Various customization options available. Thanks to a wide variety of reflective materials and custom sizes, we can create your ideal Private Property Sign featuring custom messages, text, and graphics, including your company logo. Private Property signage uses. Use signs like “Private Parking”, “Tenant Parking Only”, “No Loitering”, “Video Surveillance” and “No Soliciting” to keep your property safe and orderly. Private Property signs are used in the commercial real estate business — agents and builders — advertise new lease spaces, developments, or display company information professionally. Our large signs grab everyone’s attention, near or far, thanks to sheer size and vivid colors. Want more? 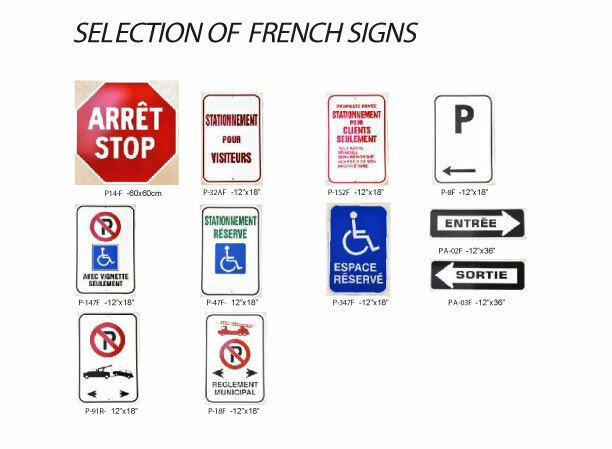 Contact Us, We also specialize in No Parking Signs, No Trespassing Signs, Traffic Signs, Temporary Condition Signs, and Construction Signage, all of which can be customized affordably.